Plans to build the UK’s highest zipline, a downhill mountain coaster and an indoor climbing wall on the outskirts of Edinburgh have been unveiled by Edinburgh Council for the Midlothian Snowsports Centre, also known as Hillend dry ski slope. 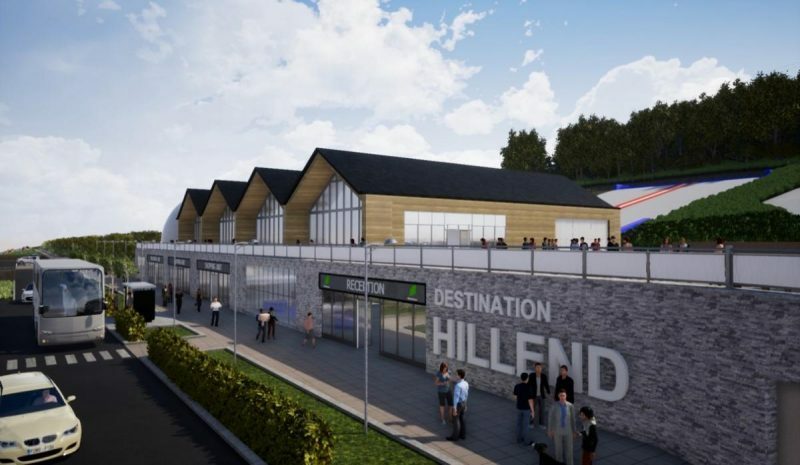 If the new attractions, part of a number of planned improvements, gets the go ahead it will see the ski centre transformed into a multi-activity development dubbed ‘Destination Hillend’. Other parts of the plans, which are now up for public consultation, include a food court, glamping accommodation and a soft play area. A council spokesman said that if the project goes ahead they expect it will repay the investment and then generate additional income. The centre received more than £500,000 for skis slope upgrades from the Scottish Government a few years ago. Councillors are expected to decide whether the project should go ahead in the spring and, if given the go-ahead, a planning application would follow soon after.